There’s nothing like the feeling of walking into your freshly cleaned home after your house cleaning service has visited. Floors clean, dust bunnies vanquished, counter-tops spotless. Of course it’s only a matter of time before life happens, and new spots, stains and dirt appear. The good news is that you probably already have a powerhouse of a cleaning product in your home right now that can help with a variety of messes and smells. 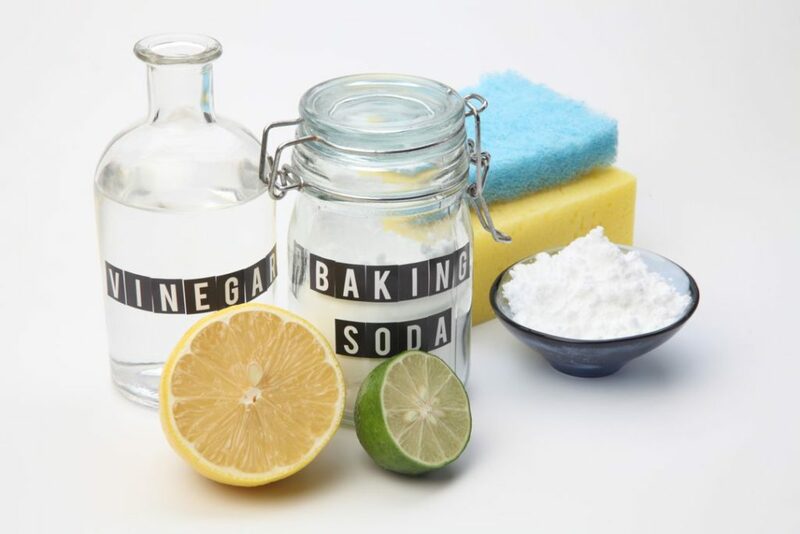 Pink Shoe Cleaning Crew brings you some tips for using baking soda in between professional cleanings. Baking soda (or sodium bicarbonate) is an effective, inexpensive, environmentally green, and versatile product. Its odor removing properties and gentle abrasiveness can handle some cleaning jobs that even harsh chemicals can’t touch. Sprinkle on your carpets—especially Fido’s favorite spot—let sit for 15 minutes and vacuum away. Half a cup of baking soda washed down the drain with an equal amount of plain white vinegar creates a bubbling action that scours pipes and can be washed away with hot water. Repeat as needed until your drain is running clear. 3. Fruit and Veggie cleaner. Remove dirt and waxy coatings with a baking soda and water bath. Equal parts baking soda, blue Dawn dish soap and hydrogen peroxide can be used to treat laundry and fabric stains. Dab a bit on the stain and let it sit. Rinse and repeat until the stain is gone. Baking soda on a damp sponge can be used to rub out the white rings left by moist drinking glasses on wooden furniture. Did your lawn mower leak oil on your garage floor? Sprinkle baking soda over the spill and scrub with warm water and a metal brush to remove. That spaghetti sauce on your plastic food storage containers is no match for a paste of baking soda and warm water. Scrub out with a brush to remove both stains and odors.